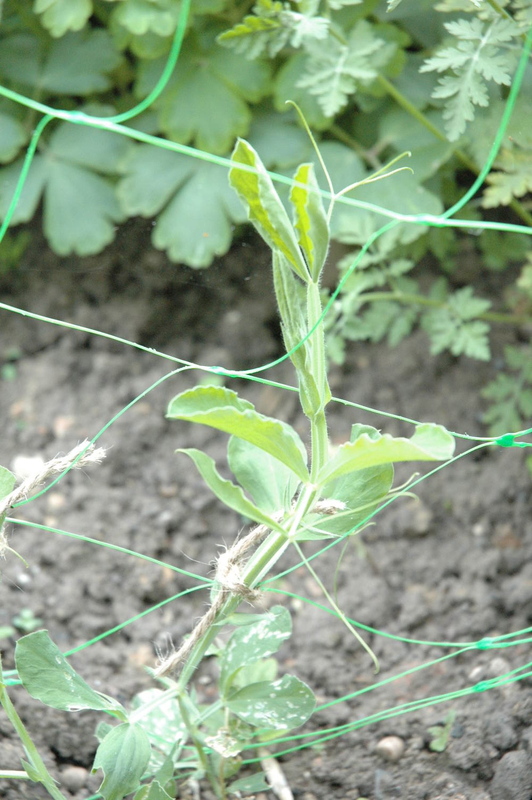 Deal death and destruction to aphids - squish them mercilessly between thumb and forefinger before they take over. 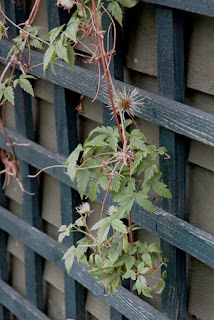 Prune early flowering clematis now they are over - they flower on this season's ripened stems, so get rid of the twiggy top growth and get a better, balanced shape so that the growth can be ready for a new flowering framework for next year. Tie in your sweet peas to their supports before they flop and become slug fodder. 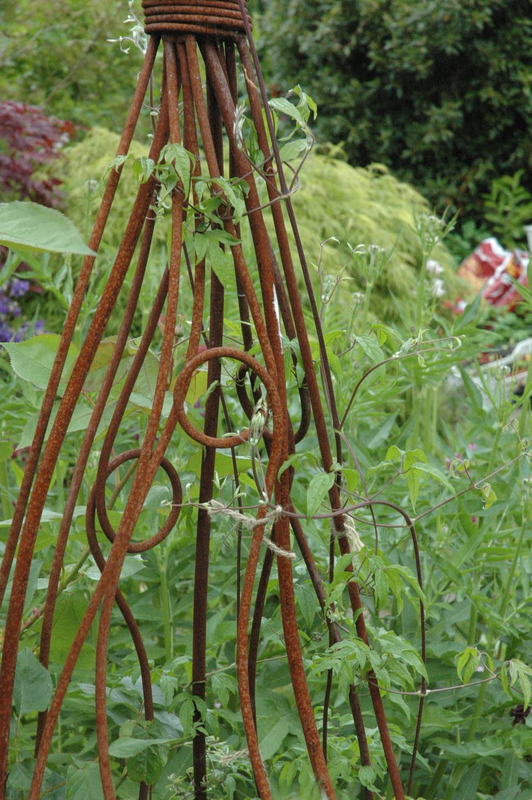 Tie in other climbing plants like clematis to their supports. 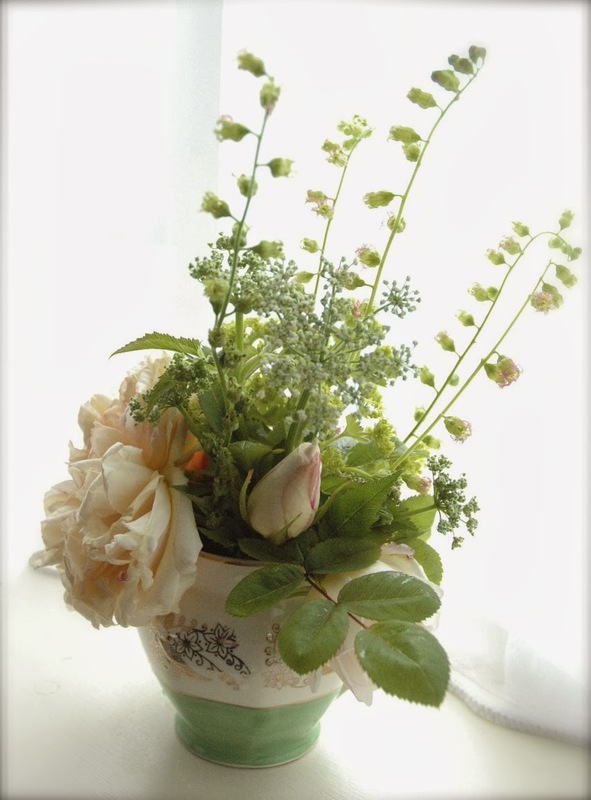 Plant out seedlings into their final flowering positions - fill your gaps! Pot on any seedlings which have been in their existing pots for a while - let them breathe! I love your clematis support. :o) It's really pretty. You have a lot of seedlings! What are you growing? I love my rusty wigwam too - made by a company called Stray Sparks. My vast array of seedlings includes heartsease viola (loads), cleomes, sunflowers, tithonia, bells of ireland, french marigolds, auricles... and that's just what springs to mind.... I'm sure there are others lurking too!! why does the computer think it knows better than me how to spell auricula? Annoying. Nasty aphids, squishing is too good for them! As is nuclear obliteration - but as I don't have any heavy weaponry to hand, the fingers will have to do.